For years we have used a website cache plug-in to improve the performance of WordPress websites. They provided added benefit, but not without serious management issues involving everything from development updates to content delivery network conflicts to security risks. Fortunately, we have finally found one that works for website caching and much more. There are several other goodies that make the product well worth the price. What’s included with all WP-Rocket licenses? Quick Setup - We install this in less that two minutes. Remove Query Strings from Static Resources - This one helps with the GTMetrix score. 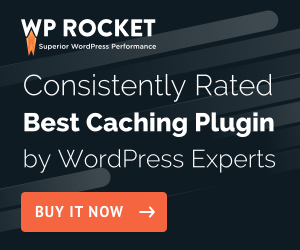 We use WP-Rocket on almost every site that we host because the Infinite license makes it affordable for our hosting services and the clients love it. They also offer a 14-day 100% refund policy. Click the link WP Rocket to try it today. We will be compensated if you buy it and grateful for your attention.